Discover the incredible art behind Guillermo del Toro’s much anticipated TV series The Strain, FX and cable television's newest #1 television series. Based on Guillermo del Toro and Chuck Hogan’s best-selling book trilogy, The Strain is a high-concept thriller that tells the story of Dr. Ephraim Goodweather (Corey Stoll), the head of the Center for Disease Control Canary Team in New York City. He and his team are called upon to investigate a mysterious viral outbreak with all the hallmarks of an ancient and evil strain of vampirism. As the strain spreads, Eph, his team, and an assembly of everyday New Yorkers battle to control the fate of humanity itself. The Art of The Strain will delve into the amazing design work that went into creating this chilling TV series, including del Toro’s own designs for the menacing beings that pose a threat to humanity’s survival. The book will also feature interviews with key members of the cast and crew and tell the full story of this unique production. Filled with stunning concept art and candid behind-the-scenes imagery, The Art of The Strain will be the perfect accompaniment to this year’s most exciting new television show. "If you're a fan of the FX horror series The Strain, Insight Editions' upcoming publication The Art of The Strain looks to be a must-buy item." "At 156 pages, the book follows in the same vein as other Insight Editions film art book releases. 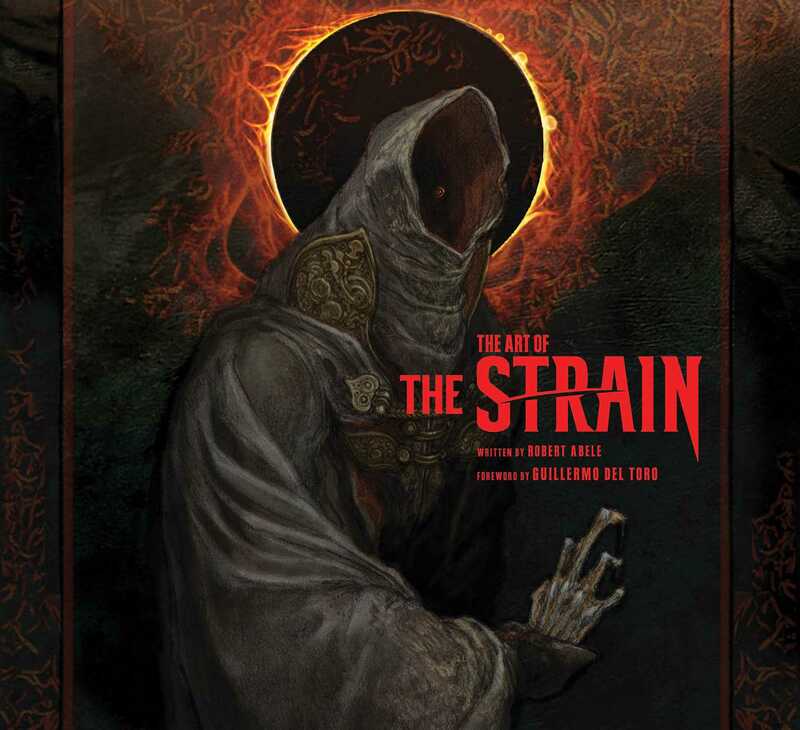 Hardcover, bound tightly, and providing a perfect home for its illustrious glossy color pages, “The Art of the Strain” is an impressive collective to the works of the production and its behind the scenes creations. Spoiler alert! (if you haven’t seen the series you may want to buy this one and dig in after a proper viewing). But for art fans and practical effects admirers, you will find much inspiration here whether it’s in the makeup, story boarding, creative design or just a base for imaginary thinking."